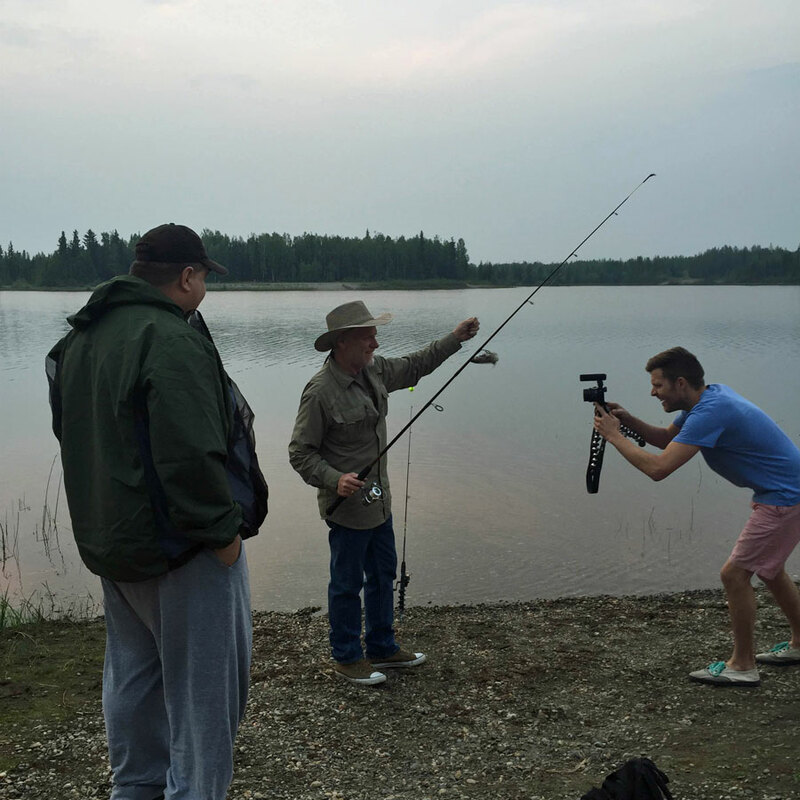 We left Fairbanks in the hopes of escaping wildfire smoke and finding some fishing. One of our wishes came true in North Pole. 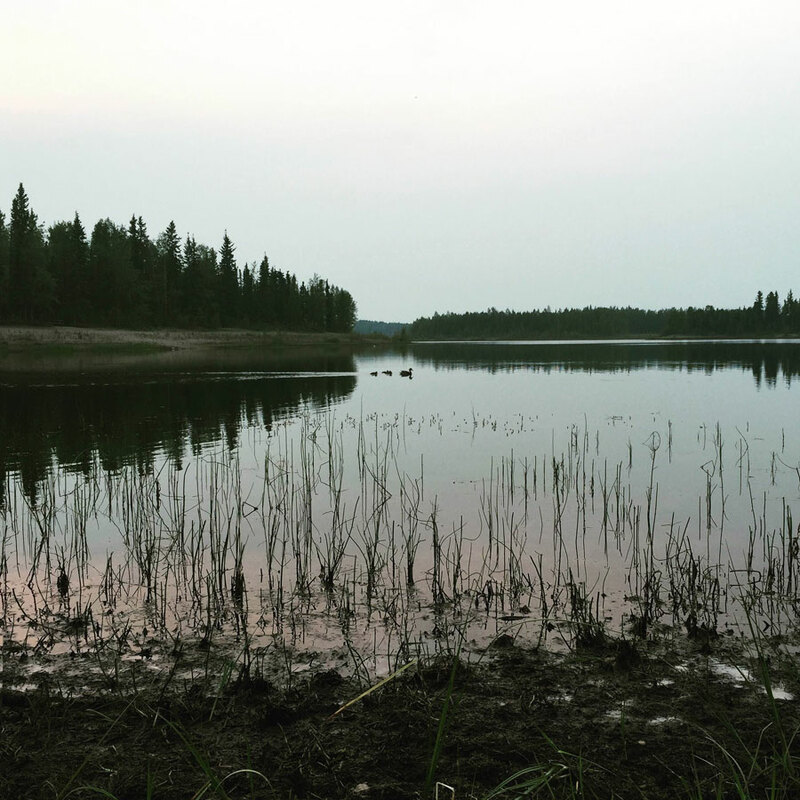 Our home for the better part of a week was on the outskirts of North Pole, Alaska: a quiet park called Chena Lake Recreation Area. 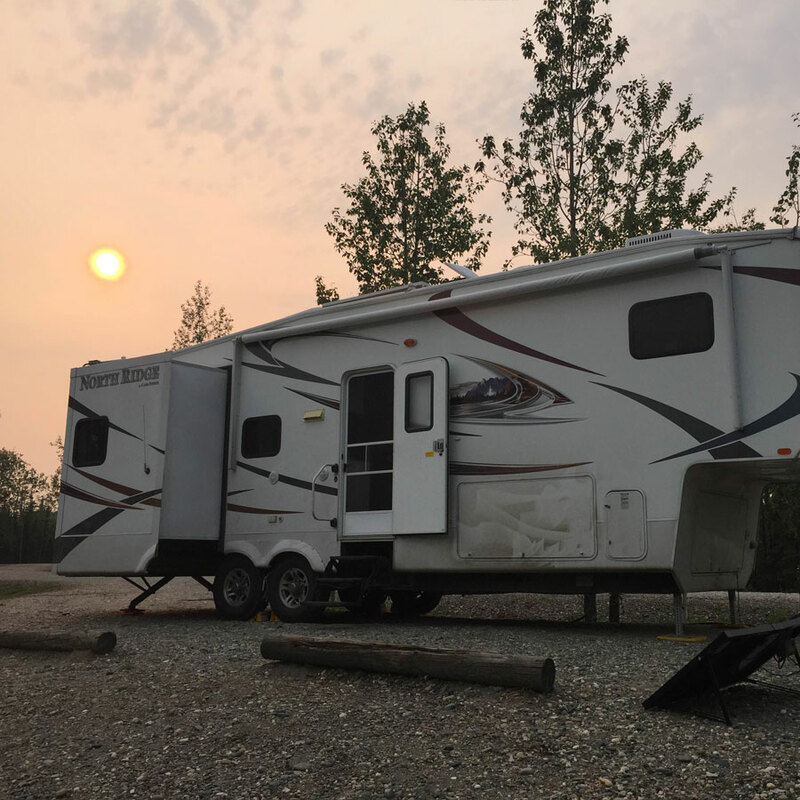 The fee for RVs is $12 per night (dry camping only), and a dump station is on site. North Pole isn't to be confused with its arctic namesake; instead, it's a town located just a few dozen miles east of Fairbanks. The hazy sky didn't keep us from spending time at the lake with our friends. 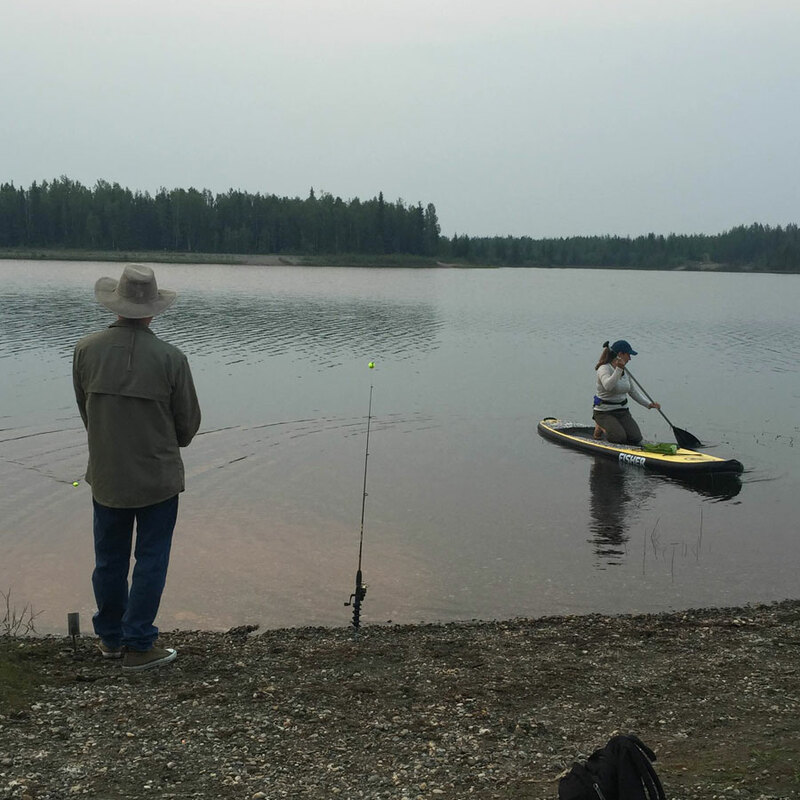 The lake's fish eluded the anglers for a few days until they started having success catching rainbow trout. Even with our gatherings by the lakeside, the wildlife didn't stay away. Although we spent most of our time at the Recreation Area, I went into town a few times for groceries and laundry. Here, all the light poles and sign posts are wrapped with red ribbons, giving the impression you're driving through a candy cane forest. 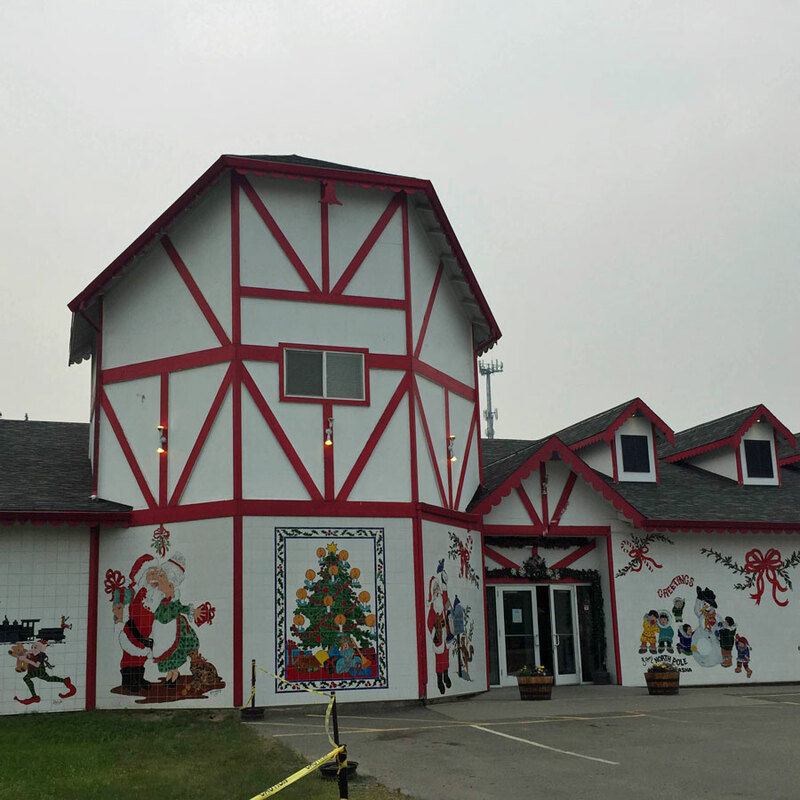 Dominating the town is a larger-than-life statue of Santa Claus, with the famous Santa Claus House next door. Stepping through its doors is like returning to childhood. There are ornaments and toys everywhere, and the smell of fudge pervades the store (yes, they give samples!). 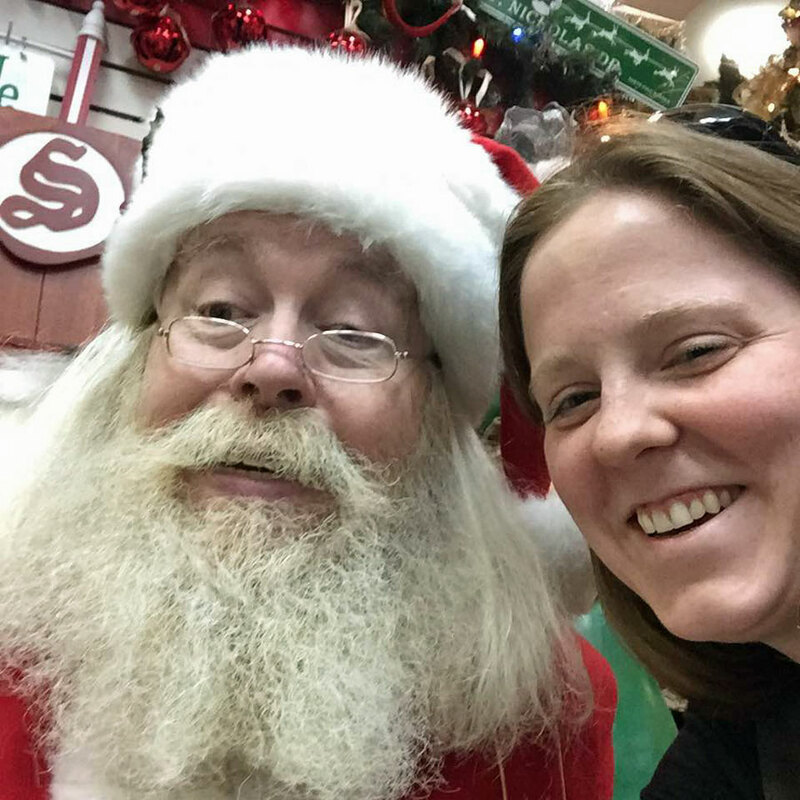 Santa Claus House sends thousands of personalized letters from Santa to kids around the world every year, and they even sell deeds to land in North Pole, Alaska. Each deed is for one in square inch of land: "a toehold in the far north." Letters to Santa from kids line the walls, penned with sincerity that borders on hilarity. "This is Camille, and I am four years old. All year long I have been ( ) nice ( ) naughty (X) maybe both." I was lucky to visit when I did, because Jolly Old Saint Nick himself was in the house. I went ahead and put in an early request for small, RV-appropriate gifts. Have you been to North Pole, Alaska? How'd you spend your time?